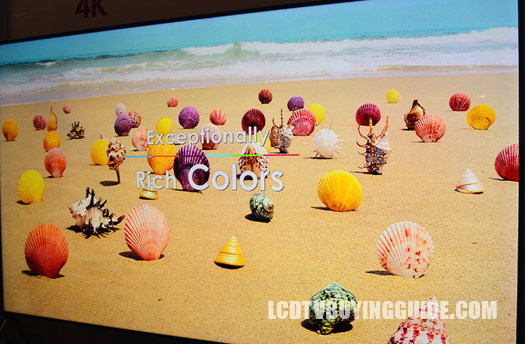 The top tier OLED TV from LG in 2014 is the 77EC9800. 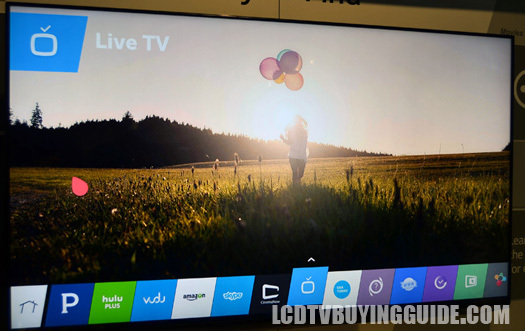 It's a curved 4K OLED that offers the best picture quality, the full set of smart TV features, and minimalistic design to boot. Picture quality on this TV is about as good as it gets right now. The high level of detail from the UHD resolution, the exceptional black levels, and the excellent color rendition make this one unrivaled. The EC9800 uses the WRGB system, where white OLEDs are used with red, green, and blue sub-pixels to produce the image. 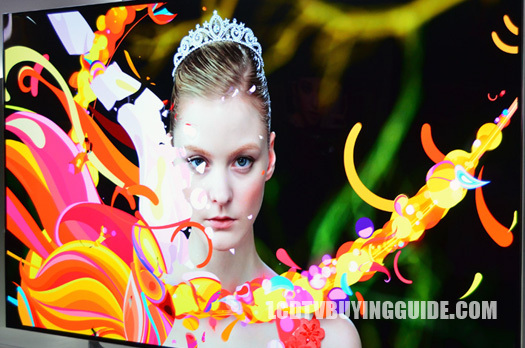 Samsung's RGB display format uses three independently colored OLEDs to reproduce the image. The 55EC9800 colors may not be as vibrant, but they are much brighter and able to provide better color accuracy. OLEDs produce their own light. That means black levels are top notch in this TV. The EC9800's picture is not affected by viewing angle or ambient brightness either. Contrast and color deterioration are basically non-existent due to the RGBW display LG uses in this set. The problem of motion judder is addressed in this OLED TV as well. 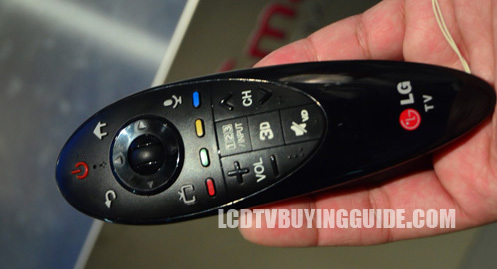 The EC9800 has a 120Hz refresh rate that does a great job of smoothing out any fast motion. A huge plus for live sports programming and scenes with fast action or panning camera movement. 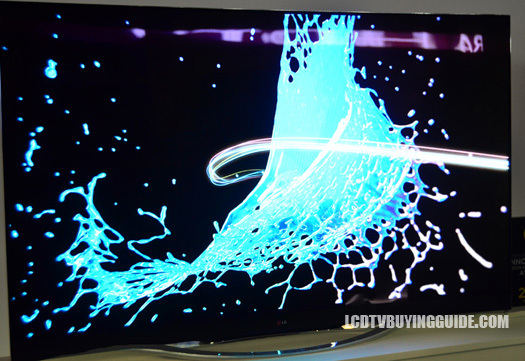 The design of this UHD OLED is very minimal compared to some of the other top tier designs we have seen in the past. This one is all about showing off the beauty of the display. The sloping stand is smaller than most LG stands of the same design. It also has an attention grabbing chrome finish, but it is not overdone. The bezels and profile are astoundingly thin to wrap up the gorgeous TV.